Wombat is a perhaps slightly unusual cross between an Original Haze and Critical Mass the addition of which certainly boosts yields. It is highly vigorous in the early stages and for this reason it is possible to allow only a very short period of vegetative growth. 70% sativa strain. Wombat is quite a fast flowering plant finishing on 60 - 65 days. An excellent yield of about 600 - 700 gr/m2 can be achieved indoors with outdoor plants finishing during the middle of October. Outdoors it can reach an incredible height of 350 cm. resembling a small tree. This weed has a very pronounced taste of Haze and has high levels of THC at between 18 - 20%, 0.6% CBD and a soaring, haze high that is almost psychedelic. By creating strains full of flavour through good cultivation and efficiency, Blimburn Seeds strive to produce consistent, fresh, quality products. Through years of dynamic research into cultivation and breeding, Blimburn Seeds produce 100% unique strains, all originating from their own gene stocks. Blimburn are firm believers in quality over quantity and pride themselves on the freshness of their products. 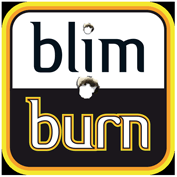 Buy Blimburn seeds now at Seedsman.